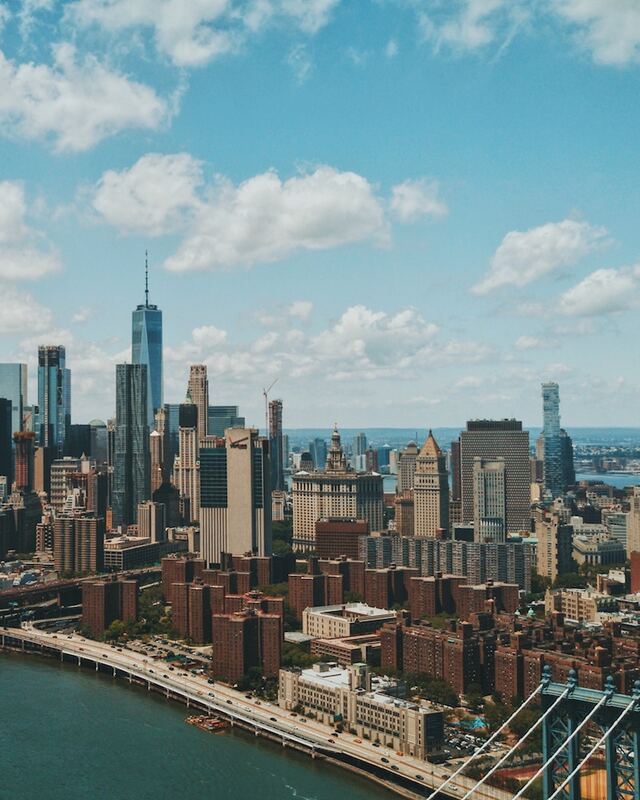 It’s the eternal questions: What are the *actual* best things to do in New York City? Specifically in neighbourhoods that you might not have traditionally been at the top of your hit list. Lucky for you, we’ve pulled together the best spots to hit in four NYC ‘hoods that are brimming with coffee to drink, pizza to eat and culture to soak up. Load up your Google Maps and get ready to brave the crowds, it’s time to act like a local. 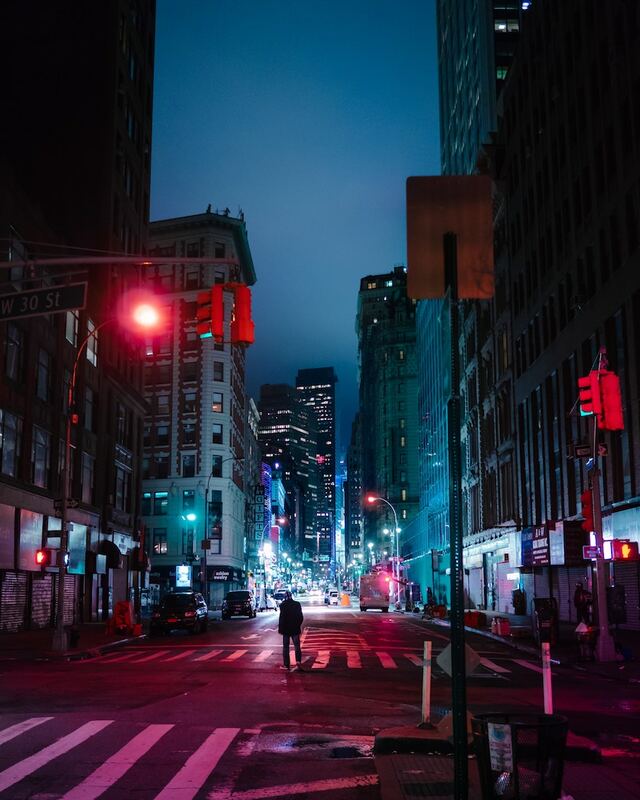 You want to live up to ‘the city that never sleeps’ vibes? You go to New York’s Lower East Side. Where the openings are hot and fresh out the kitchen like R Kelly without the controversy, and the options are endless. Music, food, clothes, coffee, bagels… There’s no shortage of places to get stuck in. Here’s what you need to know about The Ludlow: It’s trendy as anything, the rooms feel like real apartments (not stuffy hotels), and there’s an awesome bar and restaurant downstairs called Dirty French. You won’t want to leave, but you should. You’ve got to see the minimalist, modern rooms at Public New York. They’re comfy, romantic and chilled out, the perfect haven away from the city. Get a good night’s sleep in the alcove, then throw open the curtains and take in that view. When you’re navigating the Lower East Side, you need to know where to get damn good coffee. And these guys source theirs from the famous Brooklyn Roasting Co. Peckish? Get the crispy potato pancakes. Go for the delicious coffee and latte art, and stay for the friendly faces and relaxed vibes. Locals love this chilled out haunt because they do coffee really, really well in a sea of average places. Need your farm-to-table fix in the big, bad city? The Fat Radish is the place to be. Everything on your plate or in your glass looks like a work of art and tastes like the best punch in the tastebuds you’ll ever get. Here’s another local haunt that brings all the boys and girls to the yard. It’s good quality, it’s just the right amount of modern, and it has awesome New York-Chinese combos like kung pao pastrami and drunken fish with tingling chilli paste. No LES roundup is complete without a mention of these bagel geniuses and their expert craft[wo]manship. Buying a bagel from these guys is a personal experience, right down to where your smoked fish was caught. Yes, it’s a speakeasy-style joint, yes it’s very trendy, yes they have weird and wonderful ingredients. And yes, absolutely it warrants a spot on this list. Get a booth with your mates and order something wild. Another New York venue that sits happily on the official list of the world’s best bars, Attaboy does the bespoke cocktail thing without pretence, and I can tell you that’s not an easy thing to pull off. It’s improvisation in the most delicious form possible, and you need to go there. The New Museum will probably make you scratch your head when you first see it, but it will make you say “hell yes” when you get it. It’s built like a huge stack of phone books and it contains some weird and wacky things, but it’s worth it for the view and the conversation starters. Looking for a good time on the Lower East Side? Iconic music venue Bowery Ballroom is the place to be. There’s always someone fun playing, and there has been since it opened in 1998. Get your tickets in advance, then go lose your inhibitions inside. The greatest thing about Chelsea is that it’s close to Midtown, but not too close that you get sucked into a tourist vortex of M&M’s World and out-of-work actors dressed as Minions. It’s luxurious, convenient and chock full of things to do after you leave the hotel. Sold? Thought so. Here’s where to hit while you’re there. Sitting pretty in Midtown, The Moxy has comfy beds, subtly steampunk vibes and a killer bar for the cocktails you’re going to need after a long day. Not to mention the rooftop bar and mini golf course. Plush, Charlotte York vibes, subway tile, and Park Avenue realness. That’s what’s up at The Renwick. Try to bag yourself a room with a balcony so you can sip coffee and watch the entire universe go by. 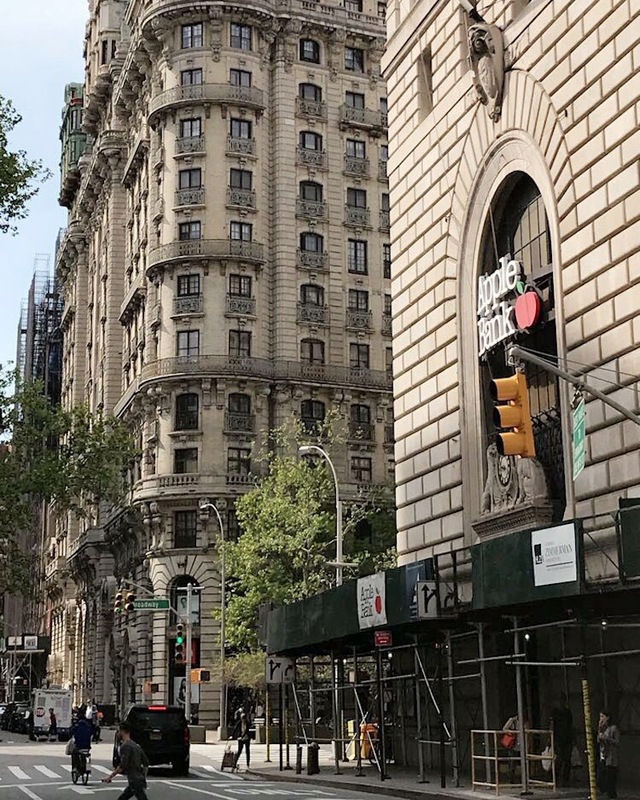 With a little bit of Mad Men, a little bit of Brooklyn and a whole lot of cool, Arlo NoMad (that’s North of Madison Square Park) is the place to be for the urban explorer. It’s got a rooftop bar, stunning views from the rooms and a built-in bodega for those times you need snacks and TV after a long day. Like most excellent coffee places in NYC (or, you know, the world), Citizens of Chelsea is Aussie owned, and it shows. Order a proper flat white (and some waffles if you’re hungry) and relax among the good company. Another friendly neighbourhood cafe, the legends at The Commons serve La Colombe coffee (which makes you say “phew” after too many Starbucks) with a smile. Grab a pastry from the Arlene while you’re there, that's their Mum. The best part about Toro is you can’t pick the best part. Friendly servers, plenty of small plates and some killer wines. If there’s enough of you, share a paella. Hell, share it even if there isn’t. Yes, it’s a little taco shack and no, you can’t call ahead and book or skip the queue. But you needn’t worry, because the queue moves quickly and the tacos are heaven. The adobada (grilled pork) is the stuff of legends. Don’t ever visit NYC without a visit to Joe’s Pizza. It’s a proper institution, serving up hot pies since 1975, with those iconic big slices covered in cheese. Don’t you let a local see you blot the oil! It’s one of the 50 best bars in the world AND it’s a five minute walk from Arlo NoMad. What more could you need in a classy cocktail bar? Apart from a great drink, of course. Head to W. 15th Street, look for the light-up sign that says ‘Open’ and make your way to The Tippler’s cellar. Speakeasy vibes and top notch bartender chat await. The sea monkey cocktail would look wonderful in your hand. I believe this establishment is what Velma Kelly was referring to when she said “I think I know a spot where the gin is cold and the piano’s hot”. Except I don’t think there’s a piano here and it’s in New York, not Chicago. But nevermind, this dimly-lit drinking hole is a must for good times and great classic drinks. Hey, babe. Take a walk on The High Line. You know what I’m talking about, how could you not have heard of this outdoor, high-up oasis? Get there early or do a weekday to avoid an army of prams. What’s the saying? If it looks like a New Yorker and dresses like a New Yorker, it’s… You get it. Nail the latter part of that analogy by picking up some threads by emerging designers at the uber trendy Anthom boutique. Artistic, chilled, and cultural. If that’s your vibe, then UWS is all for you. It’s the spot between the Hudson River and Central Park, with Broadway running right through the middle. There’s plenty to do, see, drink, and eat, and here’s where to do just that. NYLO is the perfect mix of trendy and quality, which is no easy feat these days. You’re right on the doorstep of Central Park, with Hudson River Park on the other side if that’s more your vibe. The fluffiest bedding you ever did sleep in, panoramic views and elegance that isn’t snobby. That’s what life is like when you stay in The Surrey’s 5-star walls. Book a treatment at their Cornelia Spa for when the city takes it out of you. Apart from being featured in Meg Ryan and Billy Crystal’s second-best movie, Cafe Lalo is the kind of friendly cafe we’re always looking for in a foreign city. And don’t forget to have a piece of their famous cheesecake with your cuppa. Another Aussie-owned cafe in NYC, Bluestone Lane has multiple locations, so there’s never a shortage of quality caffeine and Vegemite when you’re in need. It’s simple: they are hand-pulled biang biang noodles, covered in sizzling hot oil and chilli, and they will soothe your growling soul like nothing else. Cool down with the cold skin noodles if it’s sweltering hot. You like fried chicken? Craft beer? Good times? You’re in for a treat. Jacob’s Pickles has all that and more, alongside friendly staff and good old Southern hospitality. Order the Bloody BLT. It’s easy to go wrong with a late night, $1.25 hot dog stand, but not if you’re Gray’s Papaya. It’s iconic and it’s a must for anyone in the area. Get a dog, a juice, and enjoy them while watching the world go by. When you can’t choose between wine, cocktails, or food, The Owl’s Tail is the place to be. Get the garlic butter oysters for the deliciousness, and a Manhattan for the fun of it. Stay there for the long haul, you’ve got nowhere to be. There’s no such thing as a bad time when Vanguard Wine Bar is on the menu. It’s got that old New York feel, a great selection of cheese, and most importantly an approachable wine selection. You know the drill. These are serious performers. The type that are born with it. And you can see them in all of their glory in New York if you’re quick. A lot of the recitals are free, so make it top of your list for culture. Their website says “shop like a New Yorker”, my contact says it’s true. Buy yourself a New York outfit here. Then, upon your return, when everyone asks where you got it simply smirk and say “New York”. 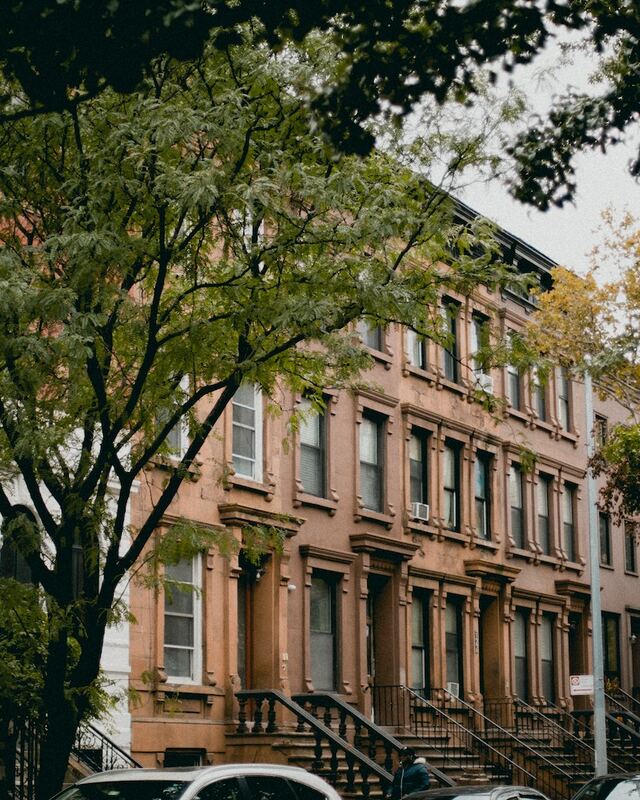 You get it all in East Harlem: art, culture, history, and bucket loads of cool. It’s less fast-paced and hipster than some of its NYC counterparts, with more low key vibes and family-owned restaurants, but that just makes it extra worthy of a spot on this list. This is hotel living, but not as you know it. 225West Guesthouse is a classic Brownstone with just four rooms (yep, four), so it’s comfort, homeliness, and quality over quantity and swankiness. Just what you need in a busy city. New York is expensive, and that’s putting it gently. The Park Ave North finds that sweet spot between comfort, style, and affordability. Which is just the right way to do it when you only need a room for the necessary evil that is sleep. Two things you’re going to love at Dear Mama: excellent coffee and the bacon egg and cheese croissant. There are plenty more things to love, but these guys will get you in the door quick smart. This is a homely little cafe and restaurant, which is why you’re going to love it. Iconic blue plates, good prices, pancakes for days and omelettes that come with home fries (i.e. an excuse to eat potatoes for breakfast). Earl’s website says they serve ‘cheese-focused food and craft beer’, so you know it’s going to be good. Grab two of their delicious grilled cheese and pick something from the tap selection for a guaranteed good time. This is a small French-Japanese restaurant where everything is made with love. It’s an absolute favourite with locals, probably to do with the lovely owners and delicious food. When a pizza joint has been going strong for 85 years in New York City, you know you better stand up and pay attention. Case in point: Patsy’s Pizza. Try the pizza alla vodka and try to hold back your happy tears. You like cocktails? So do the guys behind The Guthrie Inn. Take a seat at the bar and get chatting with the resident drinks expert behind the taps or nab a plush leather booth. Then get your cocktail on. Craft beer and craftier food. That’s the calling card of this not-overly-hipster bar on Lexington Avenue. There are plenty of beers on rotation, so go in and get chatting to the barfolk to find out what’s good. Put on your culture boots because it’s time to get stuck into the good stuff: street art. It’s been there since local activist “Sting Ray” created it in 1980. Some parts are within a school, so time your visit around weekdays. It’s exactly what it sounds like, and much more. You’ll get an incredible look into everything that shaped the glorious city that is New York. Expect a mix of historic and artistic exhibitions that allow a peek into what helped shape the city. Want more? Check out these walks you need to do in New York.